haha....saw that one on Facebook just now...isn't it cute? Thanks for sharing! I truly believe we should learn from our elders! Sewn, I sew agree with you! Dad always taught us to ''respect'' our elders too! Just saw this. Too cute!!!!!!!!!!!!!!!!!!!!!!!! I got a comforter from my grandma, one of a great many artistic and delightful gifts. I only met her once, but her love was obvious. I have a very heavy comforter that Grandma made and mom gave it to me then I have a quilt top made out of all the dresses and aprons Grandma made her and my dresses out of when I was little . I had a friend in her 80's that still hand quilted so I had her quilt it so it has a double meaning. 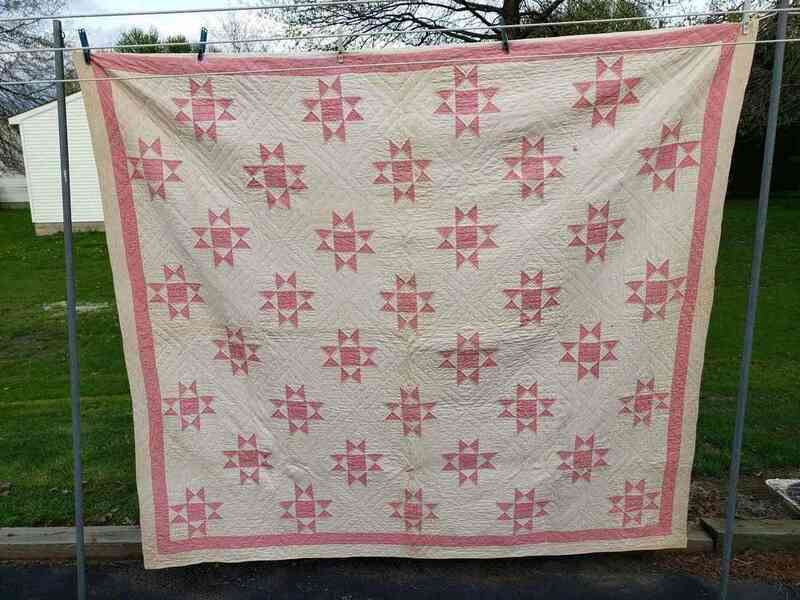 The sashing is bubble gum pink and I wanted to enlarge the quilt so all I could find was a cream color to go with it. Now I can use it on the bed but bubble gum ping sure doesn't go with my colors. One thing that made it hard to quilt was Grandma tore all the sashing and it is a little ruffled because of it. Every bit was done by hand which makes it very special to me. If and when I get unpacked I'll have to take a picture of it. Please do post a pic Norma. I would love to see your memory quilt. Yes, I would like to see that. I made a very simple comforter with a dramatic print for my DS #1. I did not think it mattered at all to him until I put it in a garage sale in 2000. He had a fit, snatching it and the matching roman blind and rocking chair seat cover. These things matter. BTW, a friend's baby great grandson needed surgery a couple of years ago. I made an actual quilt for him. When I visited my friend a year later, the mother came in. Their dryer was on the fritz. She HAD to have the quilt washed and dried in time for a comfortable bedtime. Subject: Re: What was Grandma thinking?